Ashwagandha has been shown through scientific research to possess properties that help to reduce stress and anxiety. Research suggests that the alkaloids in Ashwagandha Root, particularly Withaferin A, stimulate the brain's neurotransmitter pathways. 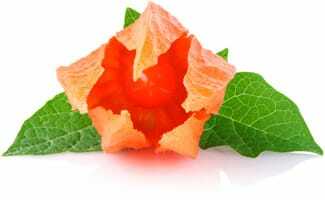 As a result, Ashwagandha reduces anxiety and worry while also improving cognition and memory function. In a 2011 study, researchers found that a formula comprised of ashwagandha extract was as effective in relieving the symptoms of anxiety as benzodiazepines, which are a medication commonly prescribed to treat anxiety. Indian J Psychol Med. 2012 Jul;34(3):255-62. doi: 10.4103/0253-7176.106022. PubMed PMID: 23439798; PubMed Central PMCID: PMC3573577. Phytomedicine. 2000 Dec;7(6):463-9. PubMed PMID: 11194174. Mishra LC, Singh BB, Dagenais S.
Altern Med Rev. 2000 Aug;5(4):334-46. Review. PubMed PMID: 10956379. PLoS One. 2009 Aug 31;4(8):e6628. doi: 10.1371/journal.pone.0006628. PubMed PMID: 19718255; PubMed Central PMCID: PMC2729375. Jain S, Shukla SD, Sharma K, Bhatnagar M.
Phytother Res. 2001 Sep;15(6):544-8. PubMed PMID: 11536389. Br J Pharmacol. 2005 Apr;144(7):961-71. PubMed PMID: 15711595; PubMed Central PMCID: PMC1576076. 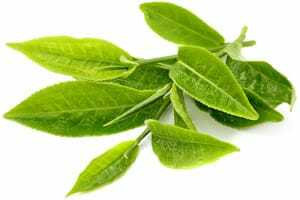 L-Theanine is an amino acid and glutamic acid that is found in green tea leaves and is the primary ingredient that endows them with their soothing properties. According to clinical research, l-theanine has been shown to reduce both mental and physical stress levels, boost cognition, and improve mood. It does this by helping to increase the overall level of the inhibitory neurotransmitter GABA, which helps to regulate emotion and mood. L-Theanine has also been associated with an increased stimulation of alpha waves in the brain. An increased production of alpha waves cause the brain to achieve a relaxed state of mental alertness. Nathan PJ, Lu K, Gray M, Oliver C.
J Herb Pharmacother. 2006;6(2):21-30. Review. PubMed PMID: 17182482. Sugiyama T, Sadzuka Y, Tanaka K, Sonobe T.
Toxicol Lett. 2001 Apr 30;121(2):89-96. PubMed PMID: 11325559. Biochim Biophys Acta. 2003 Dec 5;1653(2):47-59. Review. PubMed PMID: 14643924. Wakabayashi C, Numakawa T, Ninomiya M, Chiba S, Kunugi H.
Psychopharmacology (Berl). 2012 Feb;219(4):1099-109. doi: 10.1007/s00213-011-2440-z. Epub 2011 Aug 23. PubMed PMID: 21861094. Yokogoshi H, Kobayashi M, Mochizuki M, Terashima T.
Neurochem Res. 1998 May;23(5):667-73. PubMed PMID: 9566605. 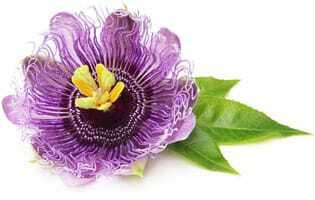 Passion Flower has acquired a reputation for its calming effect on the central nervous system by increasing the levels of the neurotransmitter GABA. Clinical studies show that Passion Flower significantly lowers levels of anxiety in individuals and can help promote a sense of relaxation and calm. In fact, a double-blind study published in the Journal of Clinical Pharmacy and Therapeutics found that passion flower extract was as effective in providing relief from the symptoms of anxiety as oxazepam, a prescription drug similar to alprazolam (Xanax®) and diazepam (Valium®). Elsas SM, Rossi DJ, Raber J, White G, Seeley CA, Gregory WL, Mohr C, Pfankuch T, Soumyanath A.
Phytomedicine. 2010 Oct;17(12):940-9. doi: 10.1016/j.phymed.2010.03.002. Epub 2010 Apr 10. PubMed PMID: 20382514; PubMed Central PMCID: PMC2941540. J Clin Pharm Ther. 2001 Oct;26(5):363-7. PubMed PMID: 11679026. Barbosa PR, Valvassori SS, Bordignon CL Jr, Kappel VD, Martins MR, Gavioli EC, Quevedo J, Reginatto FH. J Med Food. 2008 Jun;11(2):282-8. doi: 10.1089/jmf.2007.722. PubMed PMID: 18598170. Grundmann O, Wang J, McGregor GP, Butterweck V.
Planta Med. 2008 Dec;74(15):1769-73. doi: 10.1055/s-0028-1088322. Epub 2008 Nov 12. PubMed PMID: 19006051. Movafegh A, Alizadeh R, Hajimohamadi F, Esfehani F, Nejatfar M.
Anesth Analg. 2008 Jun;106(6):1728-32. doi: 10.1213/ane.0b013e318172c3f9. PubMed PMID: 18499602.